In the market for a new pair of race boots? MCN’s readers who responded to our Biking Britain survey give you their top 10 right here. To change the face of motorcycling forever, click here to fill in our survey. 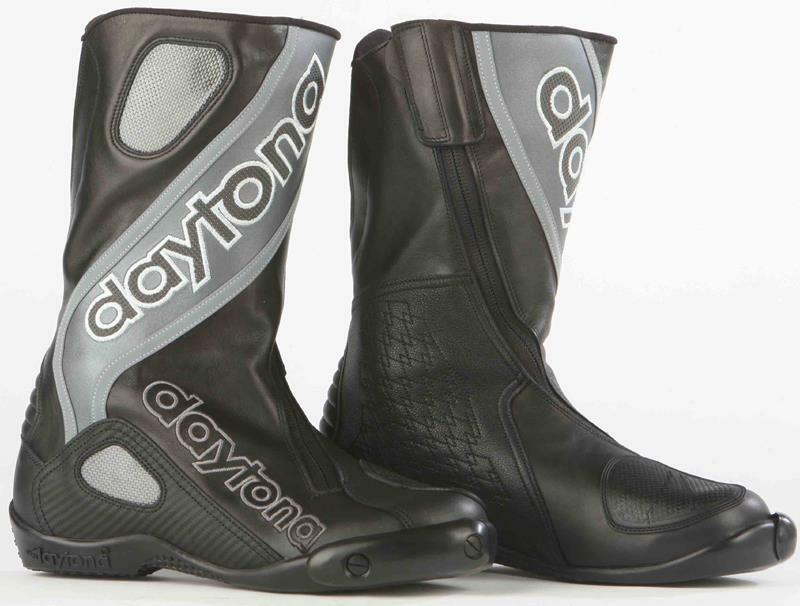 Daytona boots are long established as top quality race boots, hence the price tag that comes with them. The Evo Sport has a hard inner boot shell with a solid hinged joint and a soft calf skin outer shoe with plastic reinforcements and elasticised areas for flex. The outer boot can be replaced as can the hard plastic toe sliders and plastic screws. The Competitzione S is the slightly lesser spec’d version of TCX’s flagship Competitzione RS race boot. The upper is made from micro fibre and the internal lining is breathable. The boot has protection in the form of a polyurethane shin plate with iron mesh air inserts and a polyurethane shift pad. The toe sliders are replaceable and the closure has elastic around the zip for better comfort. The upper part of this new for ’09 boot is Lorica leather with a mesh internal liner and replaceable shin plate. 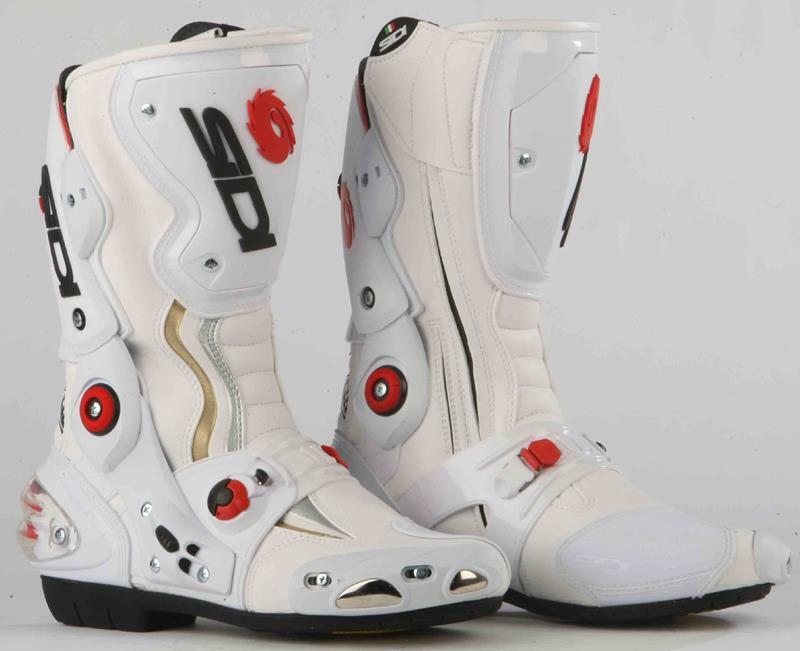 Like the rest of the top of the range Sidi boots, the Vortice has both a calf and instep tensioner as well as ankle support braces. The Vortice also has an air ventilation system on the slider, the heel cup is shock absorbing and the nylon inner sole has a removable arch support. 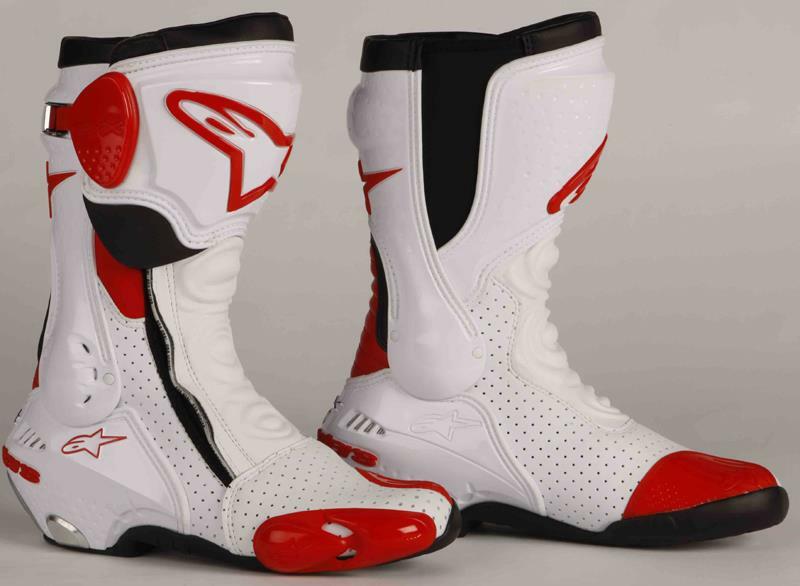 The Supertech R is Alpinestars top of the range boot, as worn by all their MotoGP representatives. 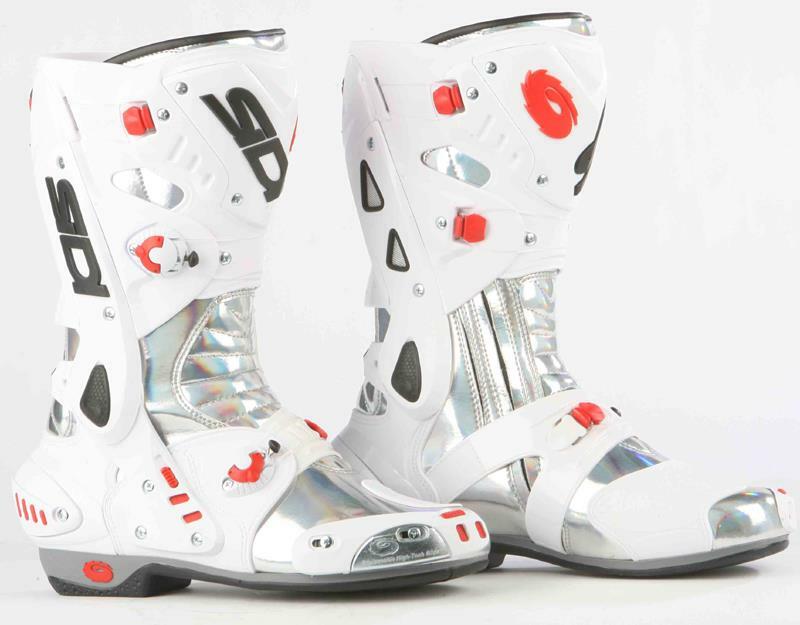 It’s a fully CE approved race boot. 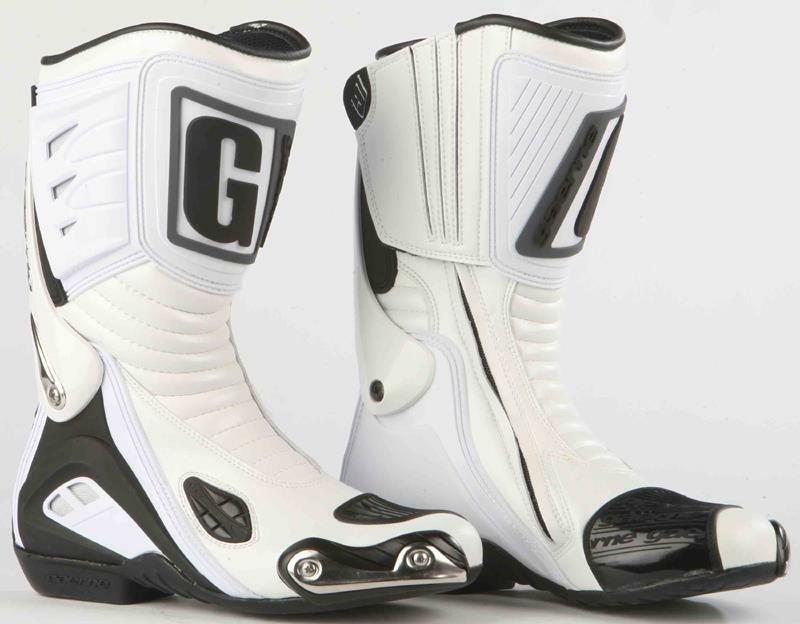 It comes with Alpinestars well tested calf ratchet adjustment system and the shin protection has vented sections for improved airflow. The front flex panel is mesh, there is a plastic protective heel plate and replaceable toe sliders. 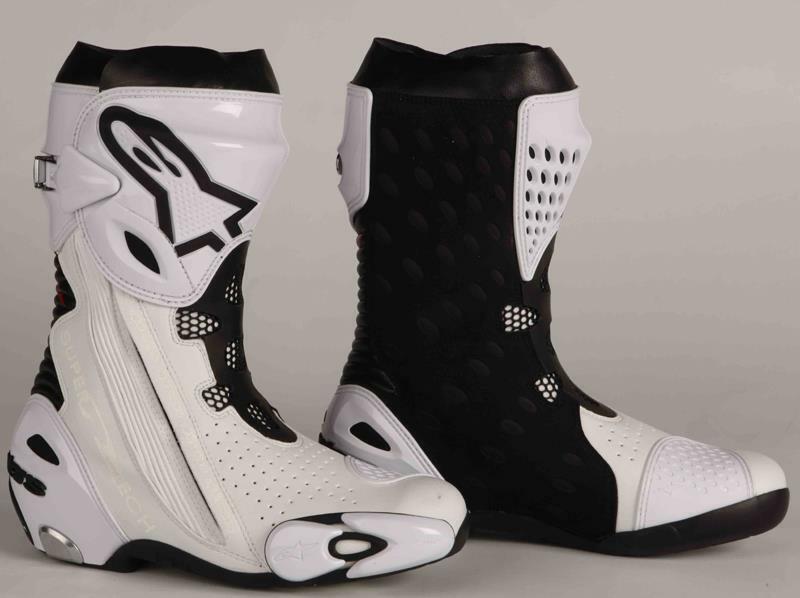 It also has Alpinestars patented inner booty system, too. Puma has recently just reduced the prices of their boot range, so the top of the range race boot, the 1000V2, is now under £200. 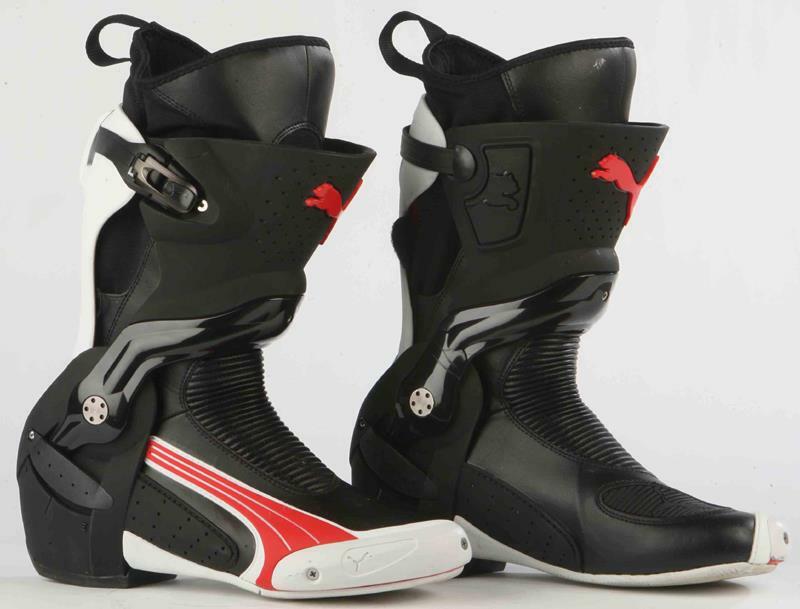 The boot features Puma’s own Ghost Doctor protection system that stops your foot being bent into an unrecognisable shape, the inner boot has fastening has been improved, as has the ratchet system on the ankle adjustment and the replaceable toe sliders are now bigger. 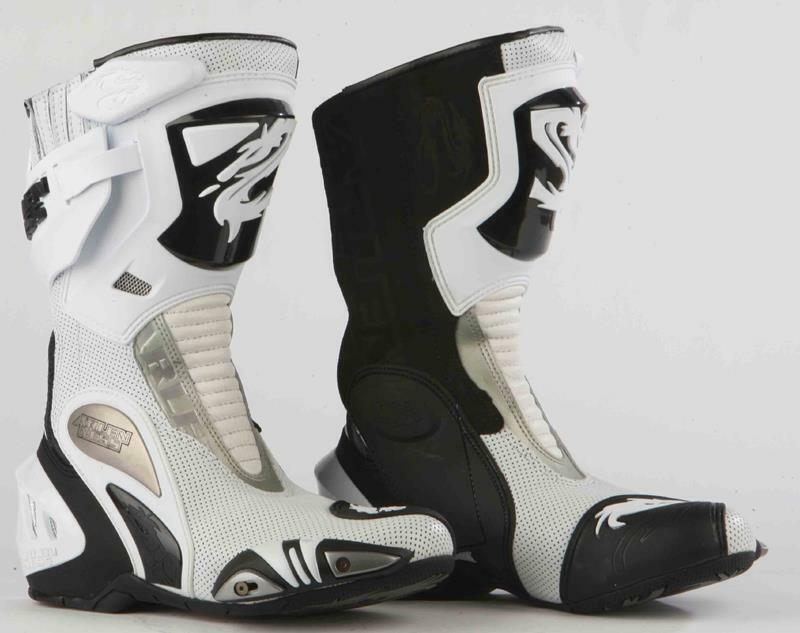 The top of the range Arlen Ness race boot has titanium inserts on the toe guard and ankle and a large Velcro adjustment around the calf – ideal for anyone with big calves who struggles to get boots to fit. The boot features a stretch panel on the front for improved comfort and reinforced protectors at the toe, heel and the shin. 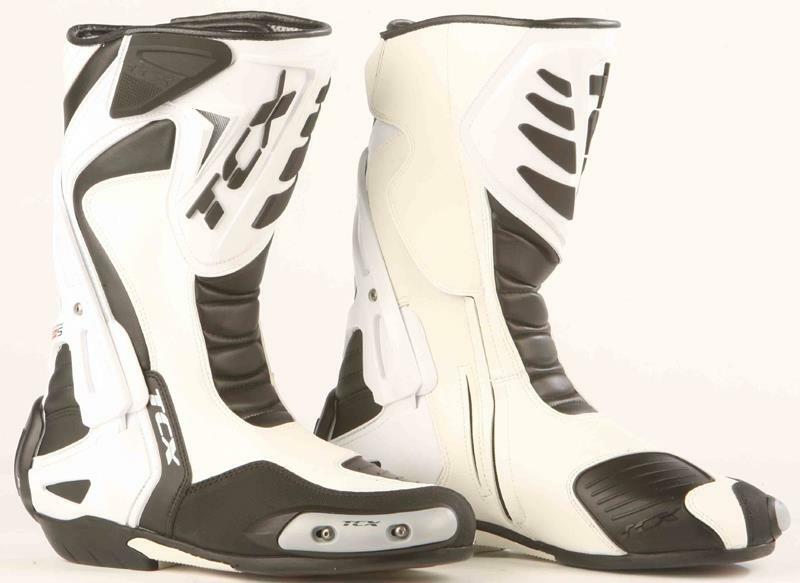 The SMX Plus has been around for a while now and is Alpinestars’ top selling sporting boot for the road. 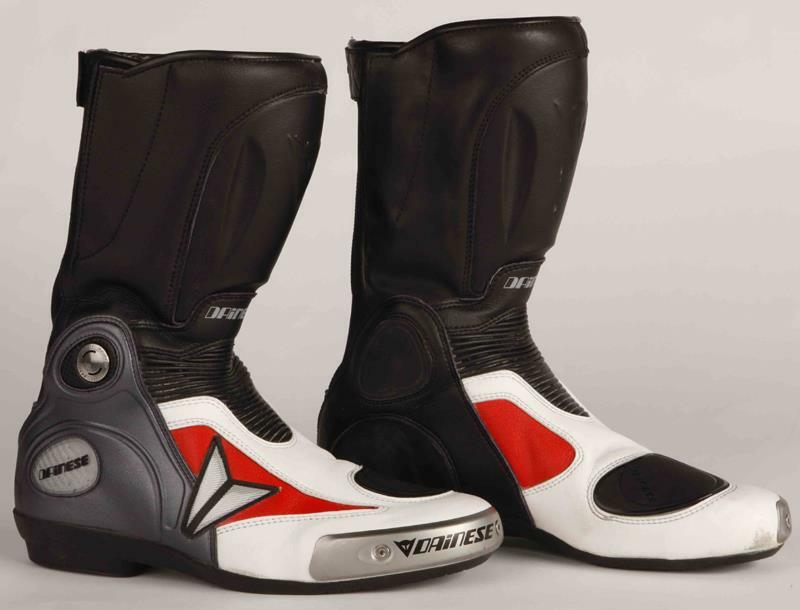 Nori Haga loves this boot so much that he still prefers it over the Supertech R! The upper section is made from Lorica leather, the boot features a U-shaped calf protector and the toe sliders can be swapped over. The upper part of the boot has been changed by introducing elastic fabric and leather to ensure optimum wearability and make putting the boot on quicker and easier with one zip instead of the old two-zip design. The D-Axial structure limits excessive inclination of the ankle and stops the twisting of the foot in the transversal axis. The titanium toe sliders are replaceable.